What Does a Reverse Osmosis System Remove?  The E5615 GAC filter contains filtration media that will greatly reduce lead in your water. This filter also reduces taste, odor and chlorine and provides nominal sediment particle filtration up to 1 micron. Click the button below to add the Omnipure E-Series 2.5" x 12" 1 Mic Carbon Block Filter w/Lead & Cyst Reduction (Everpure-Compatible) (E5615) to your wish list.